Instead of battling the throngs of shoppers after Thanksgiving, I skip the retail ridiculousness and visit Long Ireland Beer Company in Riverhead for the annual arrival of Black Friday Imperial Stout, one of its most popular beers and arguably the most coveted limited releases by any brewery on Long Island. Long Ireland, owned by Dan Burke and Greg Martin, unleashes the bold brew with an event that has become a ritual for local beer loons. They giddily gather at the brewery at 9am to drink and devour dozens of complimentary Black Friday-battered waffles dolloped with vanilla ice cream, candied bacon and maple syrup. 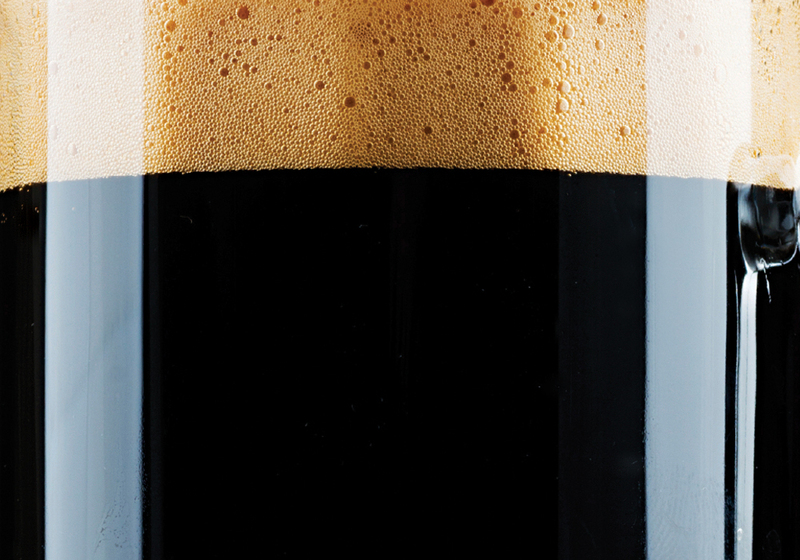 Its recipe changes slightly each year, though the imperial stout’s intense flavors of chocolate, dark-roasted malts and espresso are always present. The makers admit another constant: the pressure to create a great beer. “We don’t really sleep the night before we brew it and we definitely don’t sleep the night we brew it. You’re hoping everything goes right because you only get one shot at making it,” Burke said. The fifth edition of Black Friday will be released on the morning of Nov 27 and will pour at the brewery’s tasting room alongside its four prior versions. (Long Ireland started stashing a small number of kegs each year at the beer’s inception for the purpose of offering several vintages simultaneously.) “When last year’s came out we felt it was our best—much more complex, mature—but we assessed it and we’re going to increase the body and mouth-feel and bump up the roastiness a bit…It’s cool to see how far you’ve grown as brewers, but you can always grow more,” Martin said. What To Know: To the passerby the small, sparse storefront on Main Street in Stirling Square may seem unfrequented, existing solely to showcase some stools and a shuffleboard table. But enter and descend a set of stairs to discover the “secret” space: a snug, speakeasy-style bar offering expert cocktails and craft beers and, perhaps most impressive, the same serious, stylistic approach as modern cocktail-bar revolutionaries like Manhattan’s Milk & Honey. Brix & Rye is a neighbor and sibling of 1943 Pizza Bar, a brick-and-mortar offshoot of Matt Michel’s Rolling In Dough, his popular pizza-truck business. For this handsome, wood-heavy bar, Michel partnered with Evan and Kyla Bucholz. 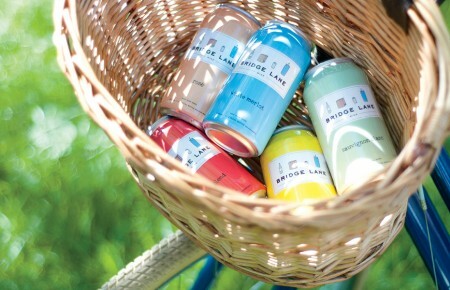 A native of Jamesport, Evan, who’s also the barkeep, ping-ponged between the North Fork and New York City before permanently returning to Long Island with his wife to help launch Brix, designed to lure both locals and cocktail loons. “We wanted a neighborhood bar that could fit easily into the community but also offer something new to it. A craft-cocktail bar but also a local joint,” he explained. 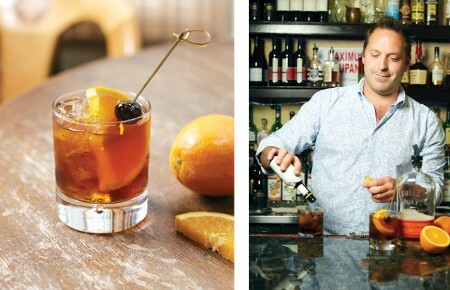 Evan previously tended bar at Brooklyn’s Fort Defiance and Manhattan’s Colicchio & Sons where he learned the importance of different kinds of ice and using jiggers to measure ingredients. Brix is also a suitable spot for suds. There are 12 drafts pouring the likes of Green Flash and Greenport Harbor, and a limited number of off-menu bottles. While he ultimately prefers making a Sazerac to pouring a stout, Bucholz has developed a newfound appreciation for serving beer since Brix opened last June. “When we’re getting crushed on a Friday night and I’m trying to make three cocktails at once, it’s a saving grace to have someone order a beer,” he laughed. Cold Tip: When at Brix & Rye inquire about Westbrook’s Mexican Cake, an imperial stout aged with cocoa nibs, vanilla beans, cinnamon sticks and habanero peppers.